Before we do that, however, there’s much to consider. Or the epiphany he had listening to punk and realising he could make his own music. Before then, music was only made by real musicians. Or the eleven years he spent working in a fast food seafood restaurant whilst the band was getting off the ground. He can fry a mean fish, can Wayne Coyne. We should mention the fact that Wayne Coyne isn’t quite the drug taking hippy he makes out. He might sound like he is consistently between acid trips, but he’s not the stoner hippy we might assume and is said to rarely indulge in anything much stronger than coffee..
And what about Michael Ivins? Here’s a source of inspiration, because he actually did a Brian May and tried to build his own guitar. What is appealing about Ivins’ attempt is that he failed, because like most of us he isn’t a rocket scientist. As, let’s face it, would anyone, including many rocket scientists. In fact, probably only Brian May and his dad could possibly have ever built their own guitar from scratch. Crucially, that failure didn’t put Ivins off being a guitarist though. 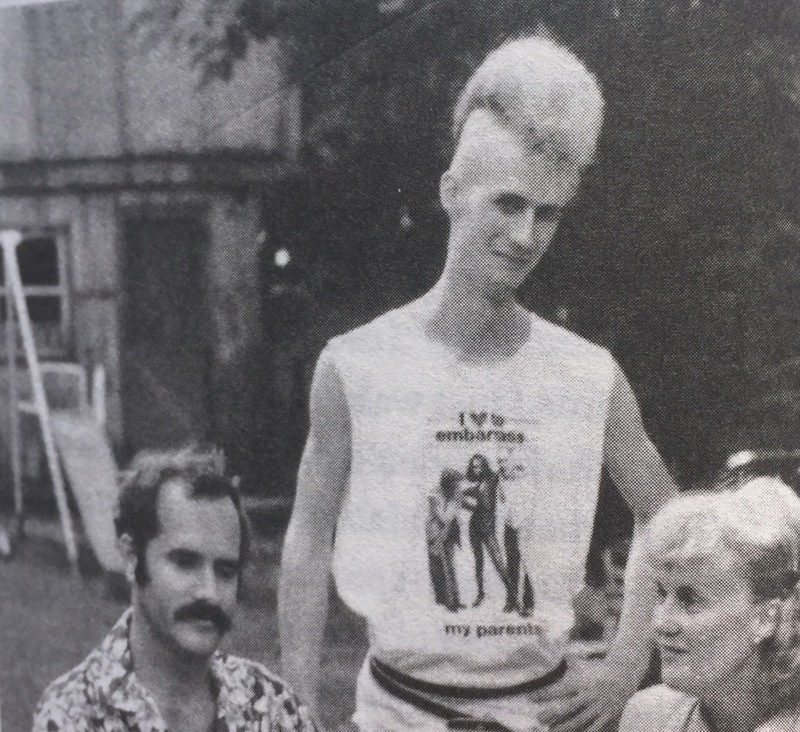 Should we mention Ivins’ utterly ridiculous haircut? And what about Steven Drozd? Perhaps we should talk about the way Steven Drozd got so good at playing the piano. Not through playing in the band, but by playing songs by The Rolling Stones or Journey every night for hours to his older brother Tony, who had been paralysed in a car accident. We can see that The Flaming Lips took a while to make an impression. It wasn’t easy. There was the time in 1988 when The Flaming Lips played in front of six people in Portland, Maine. That was five years into being a band. Imagine doing something for five years and only six people being interested (and no, this blog doesn’t count). Also in 1988 The Flaming Lips visited the U.K. The UK border agency discovered they didn’t have work visas, which the band’s management had deemed superfluous to requirements, and as a result the U.K. wouldn’t allow them in, marking their passports with an “X”, which then meant Belgium wouldn’t allow them in either. To recap, the band has been around five years, and not only is their audience only twice the size of the band itself, the band is persona non grata in two European countries. Then there’s Jonathan Donahue. He joined the band in 1987 as their roadie but fell out with Coyne after a year or so over the latter’s lack of interest in Neil Young – and ability to argue incessantly about it. But Donahue came back, and at a crucial point. In the aftermath of an album called “Telepathic Surgery” which failed to set the world alight, The Flaming Lips consisted of just two people, Coyne and Ivins. No drummer. He’d left. You can hardly blame him. They were going nowhere. At least his leaving meant the audience was now three times the size of the band. After five years and three actual albums, Coyne and Ivins were beginning to wonder whether, in fact, they could be a band. They weren’t the greatest singing group. They weren’t the greatest players. Coyne was twenty eight years old. Let’s face it, when Paul McCartney was that age, The Beatles had already split up having changed the world. Coyne had barely changed his underpants. He went back to his job frying fish in Oklahoma, and bumped into Donahue. They got working on some new songs. Donahue – their roadie, let’s not forget – saw something in the new songs. Coyne, Ivins and Donahue were joined by a new drummer called Nathan Roberts. Roberts, an unusual combination of barber and a classically trained percussionist, had just been kicked out of college for general unchristian-like behaviour. On his first rehearsal with the band he broke every cymbal, skin and stick after the first song. Donahue asked a friend, Dave Fridmann, to mix some new songs and the result was their fourth album called “In A Priest Driven Ambulance (With Silver Sunshine Stares)”. It was September 1989 and The Flaming Lips had finally recorded their masterpiece. Everything was set for take off. Stardom awaited. And then the record company, Enigma Records, got divested from Capitol/EMI, the album was shelved for a year, and the whole thing lost momentum. Masterpiece? They didn’t know it yet, but The Flaming Lips were still a decade away from recording their *actual* masterpiece. Things got so bad, the band took to selling their plasma to feed themselves. This worked, until the nurses suspected the marks on their arms were evidence of drug taking. In fact, it was evidence of the previous week’s donation. As we now know, life got better. Shortly afterwards they signed to Warner Bros and it would be nice to say that, with the odd exception, The Flaming Lips never looked back. Even that isn’t true of course. Before their first Warner Bros album was released both Donahue and Roberts had quit, the former to find success with Mercury Rev. But drummer Steven Drozd joined and The Flaming Lips as we now know them were born. They got there in the end. And now, thirty three years after the band began, there’s a new song to precede a new album. It’s a cracker, too. And what about that van? 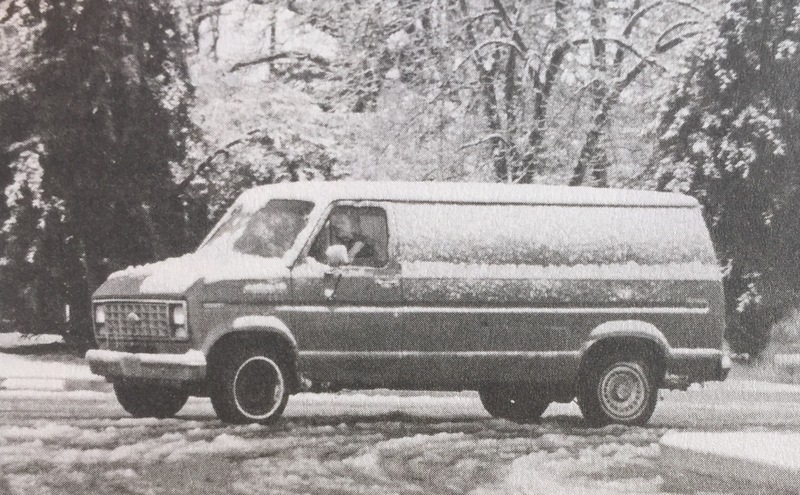 Maybe the tour van the band bought in the early eighties tells us most about The Flaming Lips. It was a blue Ford Econoline. They paid $8,900 and paid for it in instalments. When they bought it the van had 27,000 miles on the clock. When it was sold it eight years later, it had traveled 485,000 miles. That’s the equivalent of over eighteen times around the world. 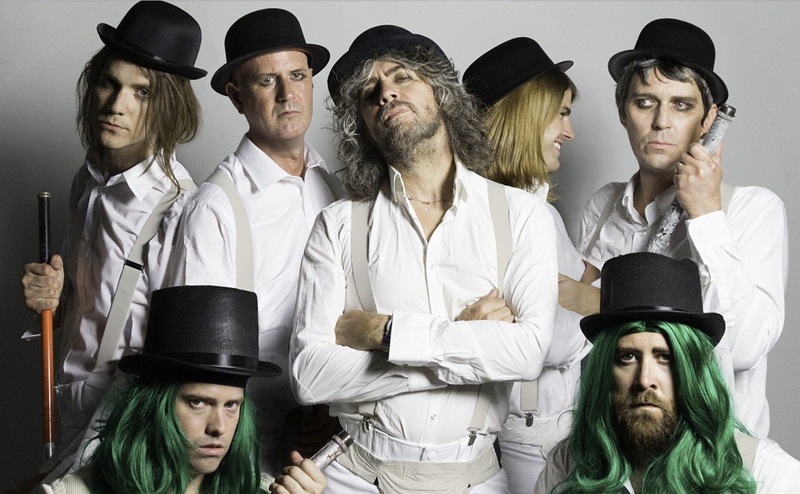 And that, more than anything, more than all the confetti, hamster balls, spider bites and songs about life and death, tells you all you need to know about why The Flaming Lips have succeeded. As you can see, the story of The Flaming Lips is not one of incredible genius that floated effortlessly through life tossing off three deathless songs every morning before breakfast. What most of the things mentioned above have in common – except for the too-tempting cheap shot about Ivin’s hair – is how much hard work and relentless toil has played its part. That, and a stubborn refusal to give up. ‹ Is it cheaper to buy vinyl online or in record shops? The Verdict. I’m in love with The Castle. Reminds me of the Soft Bulletin and Embryonic, which are two incredible albums among a bunch of incredible albums. I’ve seen the Lips a few times and any band that puts that much effort into live performance has long dispelled the myth that they are a bunch of chancers who got lucky.